It may be a little late, but Mass Effect 2 for the PlayStation 3 is doing something seriously right. In addition to shipping on good old reliable Blu-ray discs next week, it's also coming to Sony's PlayStation Network. BioWare will release a digital download version of Mass Effect 2 on January 18 on the PlayStation Store—in North America, at least—removing the need to venture out of doors to buy yourself a copy. Hell, you don't even need to open the front door to pick up a delivered package. Just download the thing. And make sure to clear some space, as the download weighs in at a beefy 12 GB. 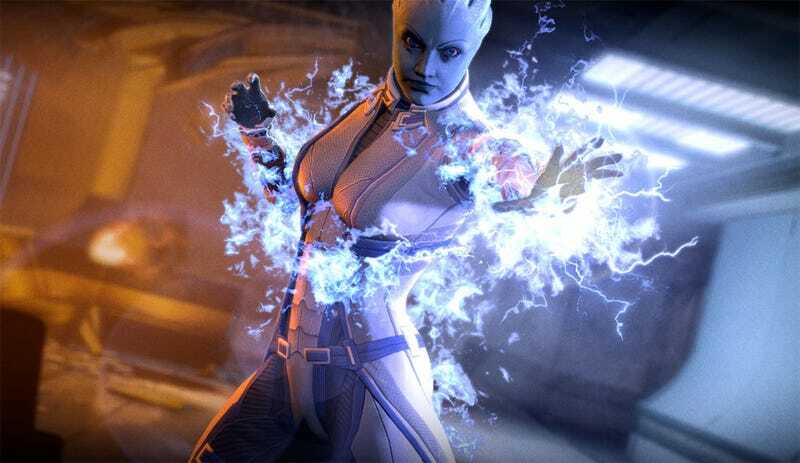 The PS3 release of Mass Effect 2 includes three downloadable add-ons for the sci-fi RPG—Overlord, Lair of the Shadow Broker and Kasumi—as well as the choose your own adventure-style comic book that serves as a replacement for the original Mass Effect.